Most Canadian intellectuals ask too many questions. They seem to love posing the kind of rhetorical query that hides a vicious truth-claim behind the innocent-looking interrogative form, flaunting a political mediocrity that masquerades as academic objectivity. Perhaps it is only the Socratic method at work. Perhaps it is a manifestation of that elusive Canadian politeness I’ve heard so much about. Or it could be an instinctual political caution that prohibits so many Canadian intellectuals from taking a firm and outspoken stand. Thankfully, A.L. McCready is not in their camp. 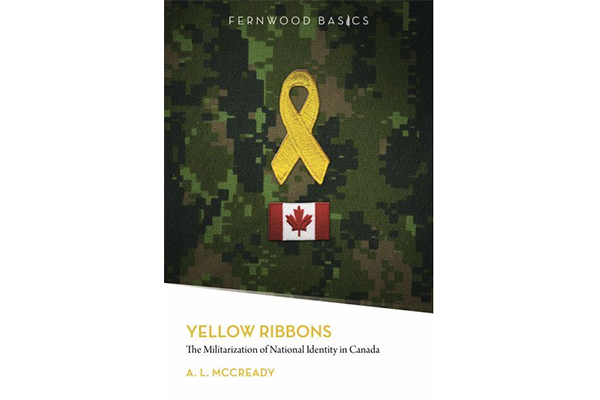 Born out of a 2012 dissertation at McMaster University, McCready’s newest book, Yellow Ribbons: The Militarization of National Identity in Canada, retains its objectivity while stating exactly where it stands. 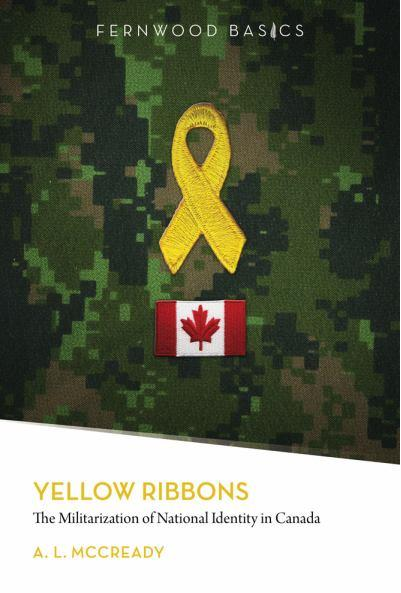 Yellow Ribbons charts recent changes in Canadian concepts of national selfhood, following in particular the state’s altered military role after September 11, 2001. We never thought they’d deport him. It seemed that, as a journalist in Pakistan, the Old Man had pissed off a general or two with his manner of political commentary. 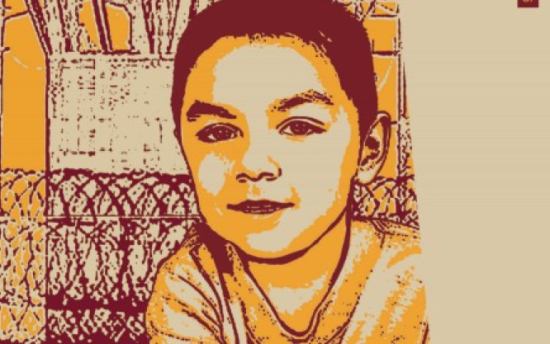 He soon found his name on a hit list, and fled to the USA. After September 11th it was no longer safe to have dark skin in America, so he had made Montreal his home. We’d talk politics, and good literature, and he taught us how to read the newspaper like a journalist. The Iraq war was on and we’d watch CNN, analyzing and refuting it. 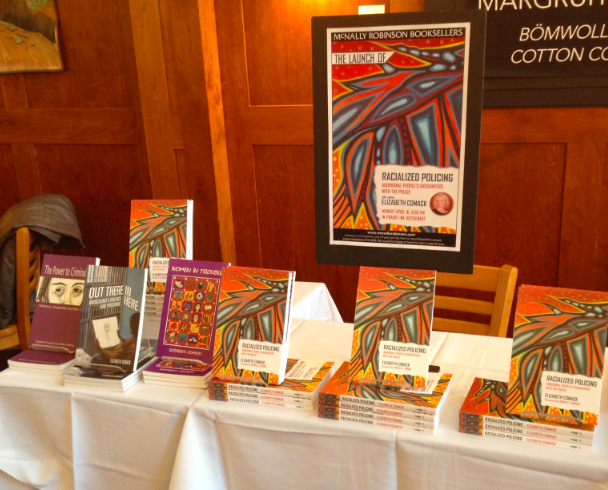 Our conversations had all the depth and intensity of university seminars – and then some. I was working as a presser in a garment factory, making just enough. A friend, just out of the army, was working in a paper-processing plant. The Old Man supplemented the cheap government cheque they give refugee claimants with back-breaking farm labour in the summer and flyer delivery in the winter. All of us desperate for a taste of life, for the callings we were meant for, none of us with the right combination of good fortune and connections. But we took pride in our smallest victories, and toasted each other whenever someone had a decent break. Sophie Fiennes’ new film, The Pervert’s Guide to Ideology, follows Slovenian philosopher Slavoj Žižek on a Virgilian tour through the labyrinths of popular culture. As in many of his seventy or so books, Žižek deploys the ideas of Jacques Lacan, Karl Marx, and Walter Benjamin to shed light on the intricate operations of ideology in cinema, TV ad campaigns, and popular music. Here, the emphasis on pop culture serves a two-fold purpose: it exposes the extent to which we denizens of a supposedly “post-ideological society” are entangled in the cobwebs of ideology, and it makes abstruse psychoanalytic and philosophical optics thoroughly palatable to large audiences (a tactic that in large part accounts for Žižek’s veritable intellectual guru status both inside and outside of academia). For Žižek, following French psychoanalyst Jacques Lacan (whose revival in academic circles Žižek has played no small part in instigating), ideology is not merely a false screen that obstructs our perception of the way things really are. Reality, for Lacan, necessarily “takes on the structure of a fiction.” We understand the world around us and our roles within it primarily through fragmentary narratives that permeate the cultural sphere. As such, television, film, advertising, and the social networking sites to which so many of us are addicted teach us not just what to desire, but how to desire in an increasingly virtual world. The struggles against pipelines and tankers, against colonial dispossession, span from Vancouver to Haida Gwaii. The Haida were among the first to take a stand, and have done so in proud, creative and inspiring ways. 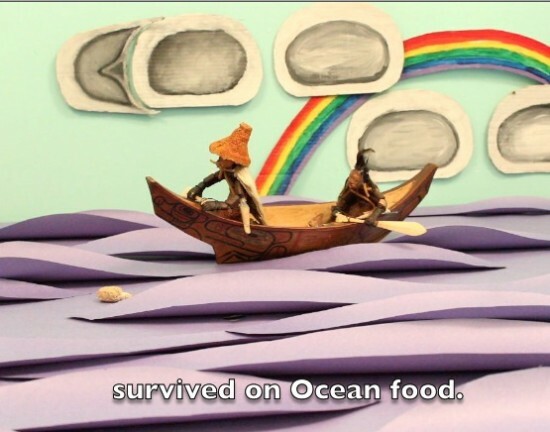 Here Christine Leclerc speaks with Ken Leslie, an animator who lives in Haida Gwaii. Ken talks about “Haida Raid 2,” an animated film he and fellow community members released through the Haidawood Project. 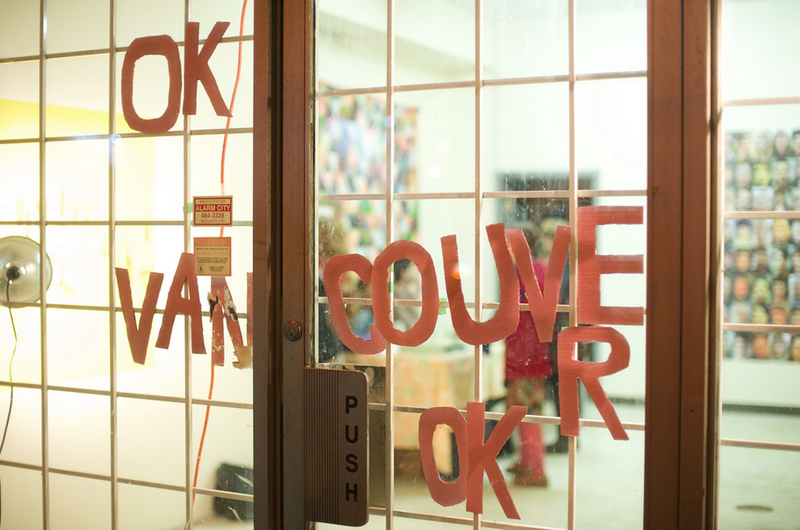 The series addresses the stresses which the colonial economy puts on the community and the earth, while highlighting revitalization of the Haida language as a key to the way forward.